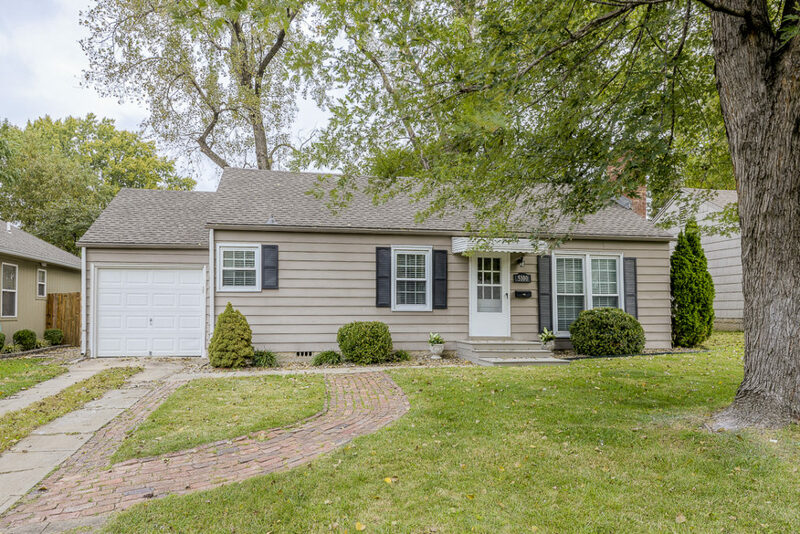 Don’t miss this Roeland Park ranch just listed for sale at 5100 W 51st Terrace! Located in Bryantwood, just a few blocks east of Rosewood, this 2-bed/1-bath home is move-in-ready and in a great location. 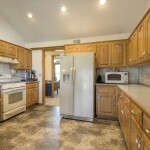 The property offers quick access to I-35, and is central to area shopping and dining amenities. Crisp black shutters and a charming brick path to the door add to the welcoming curb appeal! 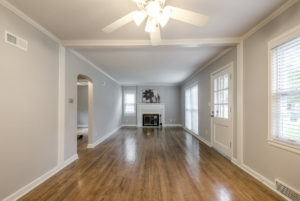 The interior of the home is freshly painted with a classic gray paint, white trim scheme. And a brand new roof was just added! Floor-to-ceiling windows at the front of the home flood the space with natural light. 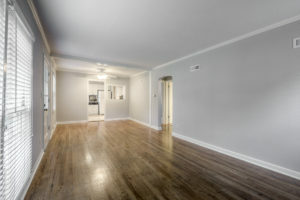 And, beautiful hardwood floors and a pitched ceiling add to the clean, open feel. 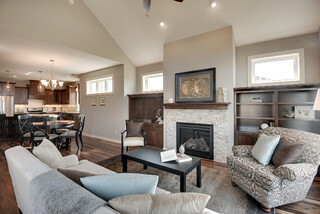 A living room fireplace is a focal point of the main room, and an ideal spot for gathering around. A pass-thru bar connects the kitchen and living area. 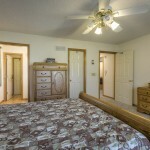 The bedrooms are good-sized, and the bath offers a tub/shower combo. The laundry is conveniently located off the garage. 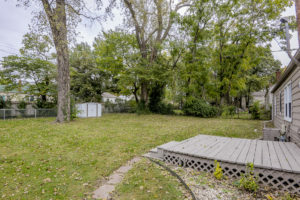 Enjoy time outside in the big, level backyard surrounded by mature trees! A cozy deck is perfect for quiet time outdoors. The backyard also includes a storage shed for your lawn maintenance equipment and more, reserving the garage for enclosed parking. Metal siding makes for easy maintenance. 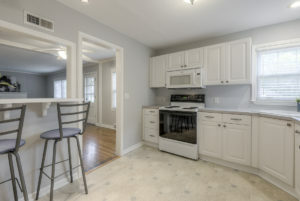 The home is also close to Cedar Park and Nall Park for area park-goers! Located at 48th & Nall, Nall Park features a nature conservation area, walking trail and rain garden, play equipment, a covered shelter, grills and picnic tables. Students in the area attend Shawnee Mission Schools, including Roesland Elementary, Hocker Grove Middle School and Shawnee Mission North. Cedar Roe Library is also just a short walk around the corner! This one won’t last long! Call Majid at 913.980.2434 for a tour today. You can always reach a member of BGG at 913.402.2599. Thanks for looking! 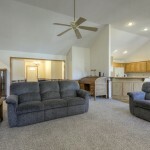 Looking for a De Soto home for sale? 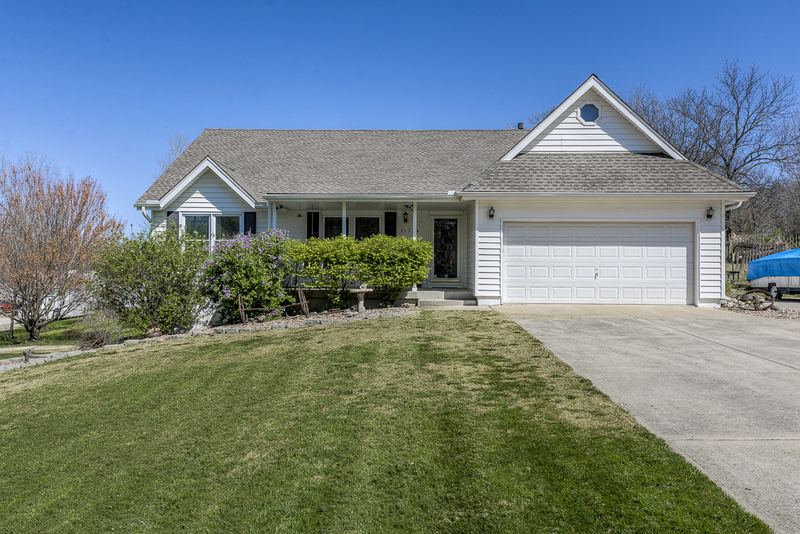 Come tour our NEW ranch listing at 31724 W 91st Street! This 3-bedroom/2-bath home sits on a 1-acre, cul-de-sac lot surrounded by mature trees. 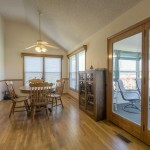 This quiet, peaceful location will make you feel right at home! Vaulted ceilings and big windows accentuate the home’s light and bright feel. 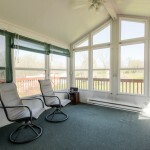 The eat-in kitchen opens to an enclosed sunroom – perfect for relaxing with your morning coffee or a cocktail at the end of the day. 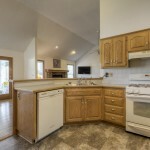 You can cross many significant updates off your checklist with this home! 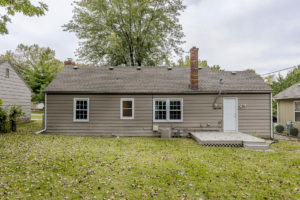 The home offers new carpet, a new roof and a newer HVAC. In addition, a water softener is in place, as well as a 2-year-old tankless water heater. Vinyl siding provides simple exterior home maintenance, and triple pane windows promote energy efficiency and enhance comfort. The unfinished walkout basement stands to provide additional living space. Enjoy time on the front porch swing! A third pad on the driveway is in place for additional parking needs. This northwest Johnson County location offers easy access to K-10 for commutes, and to popular suburban and Kansas City amenities. Still residents enjoy the benefits of a small town lifestyle and a close-knit community. The city is home to four parks, a community center and an aquatics center. To learn more about this property or to be among the first to tour, call Tina at 816.506.9112. Thanks for looking! Thank you for the trust you have placed with our team over the years. 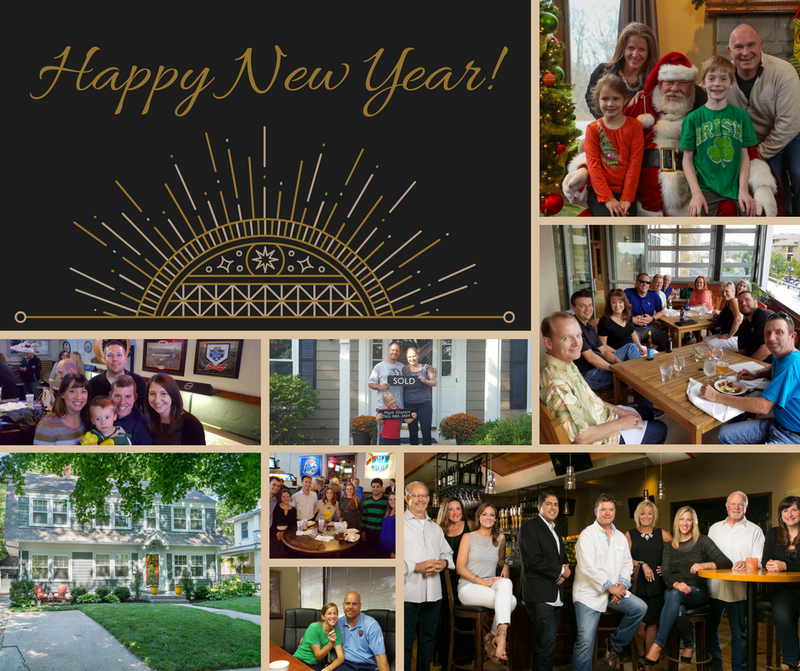 We wish you a joyous New Year and look forward to serving your real estate needs in 2017. Cheers to you and yours! A fresh coat of paint can change the entire look and feel of a space. Soon, we will be spending more time indoors, making this a good time of year to consider a paint upgrade. And if you make your arrangements quickly, you’ll likely be able to have your home clean and bright for the upcoming holiday season! 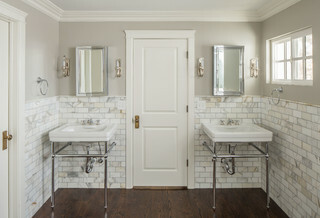 Selecting paint colors is a choice integral to your home’s design. 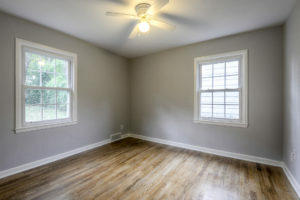 Going with classic paint colors will compliment a variety of interior design choices – which is important if you like to change your interior items from time to time. Classic colors are also a solid choice when it comes to resale. We see a lot of paint options when touring homes, and Jennifer has had a lot of experience with paint tones in recent years. She and her (soon-to-be) husband are in the final stages of a complete remodel. 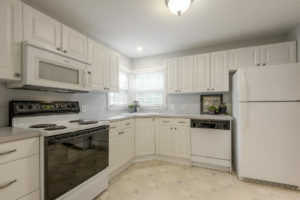 We also work with a professional stager for all of our listings. 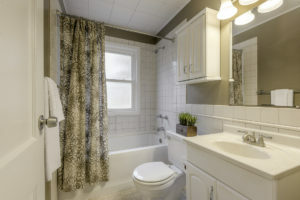 With an interior design background, Julie Casey is also a great resource for choosing the right colors for your design! We work with lots of contractors around the area, too. Feel free to contact us for painter referrals, or browse our list of Trusted Vendors for a place to start!